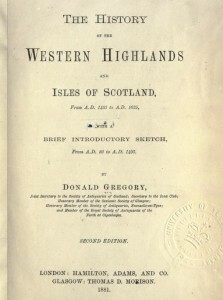 The History of the Western Highlands & Islands of Scotland, 1881. The last serious insurrection in the West Highlands and Isles which occurred in the reign of James VI, was that of the Clan Iain of Ardnamurchan, in the year 1625, arising out of the following circumstances. 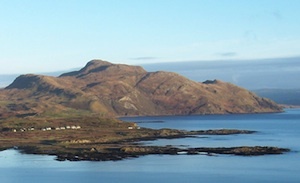 Archibald, fourth Earl of Argyle, had acquired the superiority of Ardnamurchan and Sunart, by resignation of Mariot, daughter and heiress of John MacIain of Ardnamurchan . The heirs-male of the family of MacIain continued, however, to possess the estates, without acknowledging the Earl of Argyle as their superior for a considerable period. Allaster MacDonald Vic Ian of Ardnamurchan is mentioned in the minority of Queen Mary, and John MacIain of Ardnamurchan occurs in the early part of the reign of her son. John Oig MacIain, son of the last mentioned John, when on the point of marrying a daughter of the house of Lochiel, about the year 1596, was assassinated by his uncle, who was his next heir, and wished to obtain possession of the estate. The murderer did not long escape the punishment due to his crime; for, notwithstanding that he was supported by Sir Lauchlan Maclean of Dowart, he was soon after killed in a skirmish with the Camerons. This happened in the district of Morvern; and the grave of Mac Vic Ian, as tradition calls the murderer, who is said to have been a warrior of gigantic size and great prowess, is still shown in the churchyard of Keill in Morvern . In 1602, John MacAllaster Vic Ian of Ardnamurchan, now the heir of the family, entered into a contract with the Earl of Argyle. By this agreement, MacIain became bound to exhibit to the Earl the title-deeds of Ardnamurchan, and to resign the lands to the Earl. On this being performed, Argyle engaged to receive MacIain as his vassal in the lands, to be holden for payment of one merk of feu-duty. This shows that, hitherto, the MacIains had possessed upon their old titles from the Crown, without regard to the conveyance of the superiority to the fourth Earl of Argyle by Mariot MacIain, the heiress. Argyle likewise engaged to protect and defend MacIain and his clan in the same way as his other vassals . It does not appear that this contract, so favourable to the MacIains (for Argyle’s claim to the superiority was legally good, independent of the proposed resignation), was ever fulfilled, at least on the part of the Earl. It is clear that the title-deeds were delivered up; but the history of the MacIains after this period, leads to the conclusion, either that Argyle had not acted in good faith, or that the MacIains, by some insurrection or similar lawless proceeding, had forfeited the benefit of the laws. Dying before 1611, this John MacIain of Ardamurchan left a son, Allaster, in whose minority the clan was led by a certain Donald MacIain, probably uncle of the minor, styled Tutor of Ardnamurchan . 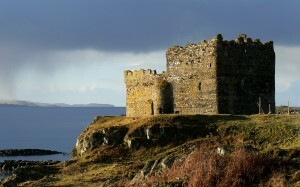 In 1612, a commission was granted by Archibald Earl of Argyle, to Mr. Donald Campbell of Barbreck-Lochow, “to take and receive the castle and place of Mingarry (in Ardnamurchan), and, upon the Earl’s expenses, to put keepers therein”; with power to the Commissioner to summon before him all the tenants and inhabitants of Ardnamurchan, and generally to manage that territory in fixing and collecting with regularity the rents to be paid to the Earl, and punishing, by expulsion or otherwise, the refractory tenants . This Mr. Donald Campbell was a natural son of that Sir John Campbell of Calder, killed in 1592, by an assassin employed by Ardkinlass and others of the name of Campbell. He was originally bred to the Church, and became Dean of Lismore ; but he was of too restless a disposition to confine himself to his ecclesiastical duties. He first distinguished himself by the zeal with which he endeavoured to bring to justice all those concerned in his father’s murder . The talents and activity of Mr. Donald Campbell recommended him to the notice of his chief, the Earl of Argyle, by whom he was commissioned, as above, to reduce the district of Ardnamurchan to obedience. In July, 1616, the Tutor of Ardnamurchan incurred the forfeiture of two thousand merks, for not appearing before the Privy Council at that time; and it may be conjectured that Mr. Donald Campbell lost no time in enforcing the sentence against MacIain. 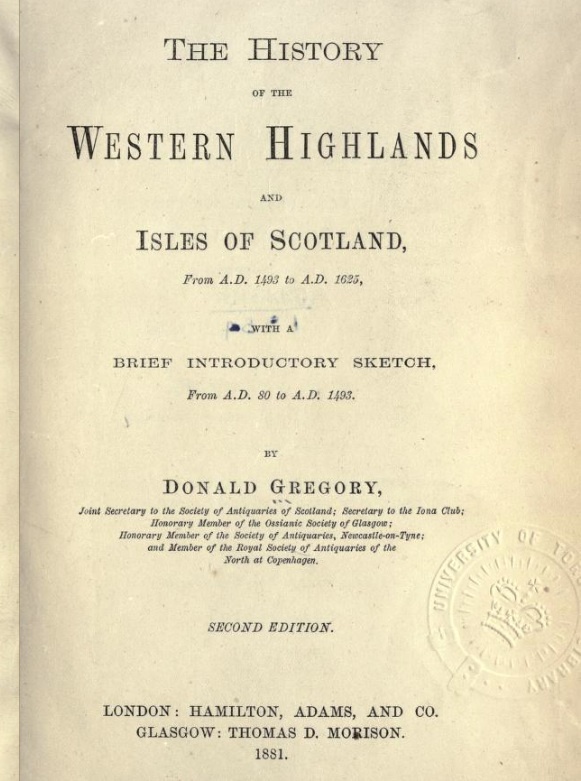 By some error or deceit on the part of Argyle or his agents, a lease of Ardnamurchan had been granted to Sir Donald MacAllan of Moydert, captain of the Clanranald, several years before the expiry of the lease granted to Campbell. In the month of May, 1618, John MacDonald, captain of the Clanranald, son of the late Sir Donald, united with the Clan Iain, who acknowledged him as their chief, and expelled Campbell and his adherents from Ardnamurchan. This dispute was in the following year submitted to the decision of Sir George Hay (afterwards Earl of Kinnoull) and Sir George Erskine of Innerteil, who found that Campbell’s lease was the best in law, and therefore ordered him to be repossessed in the disputed lands; compensation being made to the captain of Clanranald for the grassum, or fine at granting of the lease, paid by his father . In 1620, some of the principal men of the Clan Iain with Macleod of Harris, the captain of the Clanranald, and Maclean of Coll as their sureties bound themselves to Mr. Donald Campbell for the dutiful obedience of the Clan Iain to the house of Argyle, and for their being peaceable tenants to Campbell, and paying him all rents and damages that might be found due to the latter . It is probable, however, that this young chief, whether instigated by his clan or provoked by the severities of the Campbells, did afterwards resort to force against the latter. In 1624 the Clan Iain were again in rebellion; and in September of that year Macleod of Harris, Clanranald, and Maclean of Coll, as having formerly become answerable for the Clan Iain, were charged to exhibit the leaders of that tribe before the Privy Council in January following. Having failed to do this, these chiefs were denounced rebels, according to the usual forms of Scottish law. At this time the Clan Iain had seized, manned, and armed an English vessel, and had betaken themselves, to the number of five or six score, to a piratical life. In April, 1625, the Archbishop of Glasgow and Sir William Livingston of Kilsyth were commissioned to go to the burgh of Ayr, to provide a ship and a pinnace, properly manned and victualled, for the pursuit of the Clan Iain. At the same time a commission of fire and sword and of justiciary against them was given to Lord Lorn and the Lairds of Calder, Auchinbreck, Lochnell, and Ardkinlass, or any three of them, Lord Lorn always being one. In the month of May a Scottish and a Flemish ship, which had been seized by the Clan Iain, were retaken by Captain John Osburne for the King. From various letters concerning this insurrection which are still preserved, it appears that the pirates of the Clan Iain were for a time the terror of the whole west coast of Scotland, from Isla northwards. Being hotly pursued from Sky (whither they had probably gone in pursuit of some merchant vessels), by Sir Ruari Macleod of Harris and a body of his clan, they landed in Moydert, the captain of Clanranald’s country, and hid themselves in the woods there. Soon afterwards Lord Lorn and his forces arrived at Ardnamurchan, and meeting with Macleod and other chiefs engaged in the service, speedily suppressed the insurrection, and killed or banished the rebels. From this time we never meet with the Clan Ian of Ardnamurchan as a separate and independent tribe; as any survivors of them seem, for security, to have identified themselves with the Clanranald. The services of Lord Lorn were approved of by the Privy Council, and he received the thanks of that body accordingly . Mr. Donald Campbell, originally tenant of Ardnamurchan, became now heritable proprietor under Lorn of that district and Sunart, for which he paid an annual feu-duty of two thousand rnerks. Before the month of January, 1629, he had been created a Baronet, and during the reign of Charles I, was well known as Sir Donald Campbell of Ardnamurchan. He left no surviving male issue; but his title is now enjoyed by the present Sir John Campbell of Airds and Ardnamurchan, the descendant and representative of George Campbell of Airds, nephew to Sir Donald . Of the old MacIains, the last trace I have found is a bond, dated at Edinburgh, 22nd April, 1629, by Alexander MacIain, son and heir of the late John MacIain of Ardnamurchan, to Robert Innes, burgess of the Chanonry of Ross, for the sum of forty thousand pounds Scots . From this it may be inferred that MacIain had received, or was about to receive; compensation for his claims on Ardnamurchan. Inventory of Argyle Writs. Reg. of Privy Seal, XVII., fo. 38 ; XXIV., fo. 29. This lady had married Robert Robertson of Strowan, who consented to her resignation of Ardnamurchan. MS. History of Camerons. The author of this MS. calls the murdered chief erroneously Donald; but I find John Oig MacIain of Ardnamurchan mentioned in an authentic document, A.D. 1595. Collectanea de Rebus Albanicis, I. 200. Reg. 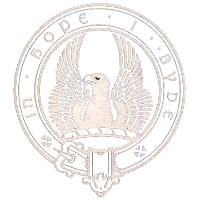 of Privy Seal, LXXX. 162. Original in Charter Chest of Airds. This is proved by many documents in the Charter Chest of Airds. Original Letter in Ch. Chest of Airds, dated 16th January, 1616 – Record of Privy Council, ad tempus. Record of Privy Council, 10th November, 1618; 29th and 31st July, 1619. General Register of Deeds, Vol. CCCCXXV1., sub. 15th January, 1630. Record of Privy Council, 23rd July, 1622. This account of the proceedings against the Clan Ian is taken from the Record of Privy Council, 22nd September, 1624 ; 27th January, 21st April, 31st May, and 28th July, 1625 ; and from Letters, Campbell of Calder, the Archbishop of Glasgow to Lord Melros (afterwards Earl of Haddington); from Macleod of Harris to Mr. Donald Campbell all preserved in the General Register House, Edinburgh ; and from the Council to the King, preserved in the Denmylne MS., dated in the months of April, May, and July, 1625. Documents in Charter Chest of Airds. General Register of Deeds, Vol. CCCCXVII. Is the DNA of the Clan Ardnamurchan known? Would this be a simple Clan Donald DNA test to find out? 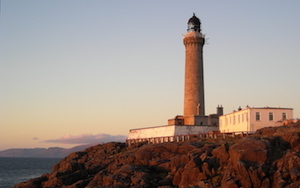 My family descends from the MacIain MacDonald’s of Ardnamurchan via way of the Isle of Coll. I’ve had my DNA tested and would be willing to compare with others? hi im a johnson that comes from somerled> the ogs of islay > mciain sept of donalds of ardnamurchan would love to confirm by dna! i found out that decendants of somerled have a certain genetic marker that hangs in the dna. the genetic marker originates in scandanavia, cant remember the name of the genetic marker, just something 17.
around 30% people who think they are related to somerled ect have this gene/marker. its the best indicator when combined with local and family history and helps prove connection. if i find the name will post it up. Interesting. My great . . .grandfather, Andrew MacDonald (b 1740’s) came from Eileen Shona and was said to have been from the MacIain’s. I noticed the discussion about possible MacIain Y-DNA. I had a Y-DNA test carried out a number of years ago and would be happy to compare results. There is a possibility that my Macdonald ancestors were Ardnamurchan refugees and I would like to test this hypothesis. Will you please contact me? My farmer email adress was hacked. Does anyone know if Barra McCain is still running the McKane surname project? I haven’t been in touch with him for some years and an email a month ago was unanswered. I believe I am close to establishing a link between my family (McKanes of Guernsey) and the Glengarry Fencibles, a regiment raised in 1759 and subsequently posted to Guernsey. There have been McKanes on the island since about that time. I am a macian so most likely of Donald, but the spelling is mackean out of kentucky? thanks for any info. I recently visited Ardnamarchan, and was guided on a wonderful tour of Mingary Castle, and the surrounding areas. A wonderful gentleman from Kilchoan, John Haylett was our guide. My family, the MacKeans, were very likely to come from the Ardnamarchan area, as they had a 60 to 72 year history in Ireland, then came to the United States in 1705. I thought the area very beautiful, as was the castle, now owned and renovated by it’s new laird. It has been turned into a bed and breakfast with beautiful rooms.I find the history above fascinating, and I don’t wish that my husband and I could have stayed longer to do some more investigating! Proud to be a Scot, and proud to be a MacKea!!!! I DO wish we had more time there, and the name is MacKean! Sorry! Marci, I am also in Scotland, Edinburgh at the moment, leaving very soon. To anyone wishing to help me find Donald MacIain, brother of O’Brian and 3 married sisters, I don’t want to go home emptyhanded. This family emigrated to Northern Ireland due to religious reasons. Maybe Ballyligg. My formerly posted email address has been hacked so please use tclower54@gmail.com. Thanks! Previous story How Did the Ordinary MacIains Live?